India’s highest civilian job Indian civil services examination 2014 topper is influenced by the legendary Indian cricketer Sachin Tendulkar. 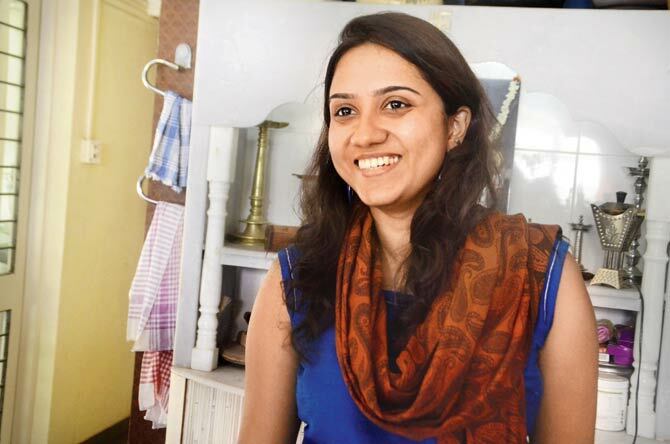 Aboli Narvane who stood 78th AIR in UPSC Civil Sevices Examination (CSE) 2014 results announced on Saturday. Cricketer Sachin Tendulkar has inspired a young Maharashtrian girl to crack the UPSC Indian Administrative Services (IAS) 2014 examination. The so called cricket god in India has been found earlier in the past as the source of inspiration and the sanctified icon in India. Aboli Naravane, a topper of Union Public Service Commission (UPSC) Civil Services Examination 2015 has claimed Indian legendary cricketer as her source of inspiration. Ms. Aboli Naravane was the 78th rank holder of the Sunday’s declared IAS exam results of CSE 2014. 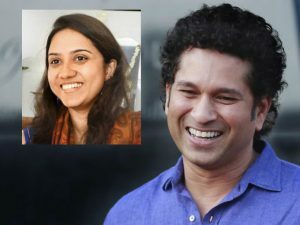 While responding to the media describing her saga to the UPSC IAS 2014 Ms. Aboli Naravane said that she is a diehard fan of Sachin Tendulkar and has read Sachin’s biography at least six times. Three qualities of the Master Blaster Sachin Tendulkar barracked Ms. Aboli Naravane which are Sachin’s dedication towards passion-driven work (cricket), his down-to-earth modest approach, and delivering his best to the nation. She claimed that she always dreamed to serve the nation at uttermost and now she is happy that she has passed the Indian civil services examination with flying colors which makes her dream come true. Mrs. Aboli Naravne completed her MS in Economics from the Vimlabai Garware Prashala and has been trained in Kathak dance under the Shri. Shama Bhate guru tutelage. Contradicting most of the IAS toppers views and opinions Mrs. Aboli Narvane said that she never subscribed to the misconception that one has to start studying for the IAS exams from Standard 10. “I enjoyed my college life to the fullest, being a trained Kathak dancer participated in the Firodia Trophy intercollegiate competitions in each of college years. Being bored of studying, I used watch Sachin Tendulkar’s best innings and also read his biography again and again” said M.s Naravane revealing her success story. Looking off her family background her mother Meenal Naravane is a director at Yashwantrao Chavan Academy for Development Administration (Yashada) and her maternal uncle Rajiv Ranade is an IRS officer. Ms. Narvane’s father Sunil Naravane retired from the merchant navy who gives credit for her success to her family including her sister Neha Kulkarni.”This is a good career option for girls, and there are many who have done great service to the nation by joining IAS, notwithstanding the fact that they had to leave their home state. I am aware that I could be required to leave Maharashtra, but I want to fulfill my dream of doing my duty as a citizen of India” Ms. Aboli responded to the question whether girls should take up this career given the fact that they could be posted outside Maharashtra. Stay tuned with us for latest and trending stories occurring across the globe by bookmarking us pressing Ctrl+D in your web browser for easy navigation.